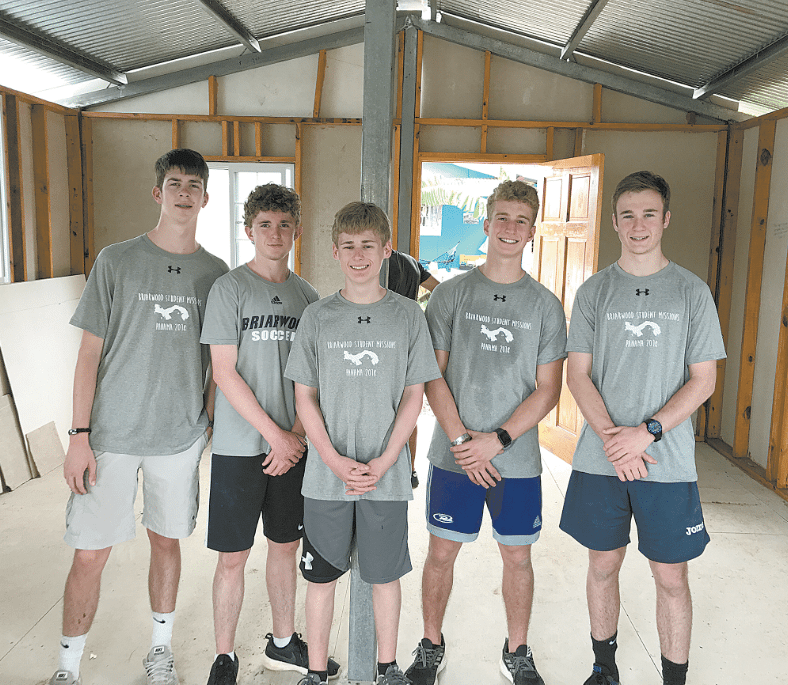 Several members of the Briarwood boys soccer team with Briarwood student Graham King, center, at a construction site in Central America. From left, Briggs Latta, Braxton Tubbs, King, Noah Nall and Jacob Badolato. Photos special to the Journal. 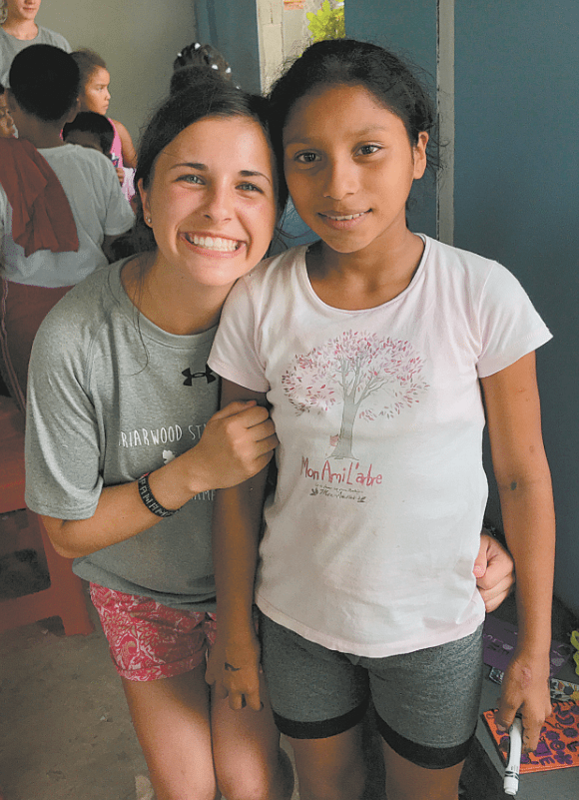 For 15 years, Briarwood Christian School has had a mission program that has allowed its students from all walks of life to visit and serve Central American countries. 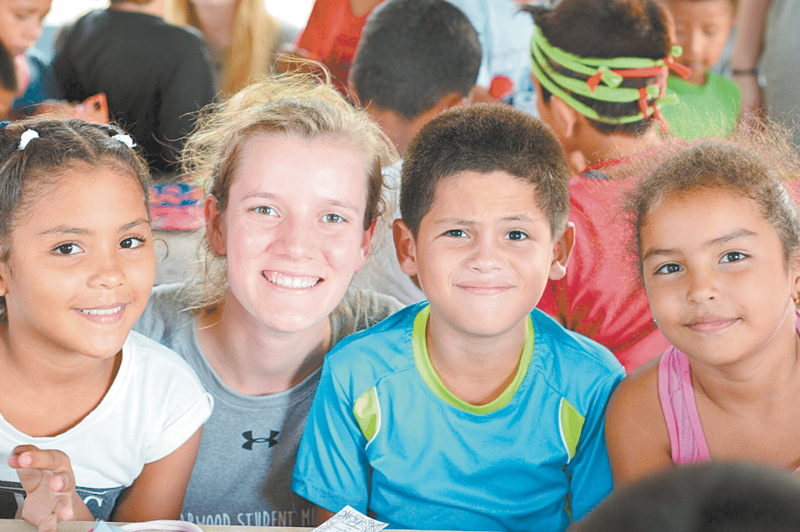 The two oldest trips led students to Nicaragua and Guatemala. A trip to Haiti was added a year ago, and this year, for the first time, a group spent its spring break in Panama. A fifth trip will be added soon, with the baseball team visiting Cuba. Over the course of the week in Panama, Brower and his students traveled to the village of Gamboa by taking a boat up the Panama Canal. They visited an inner city Christian school in Curundu, leading children’s programs and feeding students at lunch. The boys among the group did manual labor at a site where a church was being erected. And they visited a rural public school in the mountains at Nuevo Pareso, where children as young as elementary-aged walk up to two hours to school each day and families live without electricity. While the boys on the trip did more of the heavy lifting, the girls interacted with children through music and crafts. They showed students how to make headbands out of old T-shirts and led singalongs. Among the students on this trip were four players from Brower’s own boys soccer team and the girls team, two tennis players, a girls golfer and representatives from Briarwood’s show choir and cheerleading squad. Just Edge had previously participated in the mission program, visiting Guatemala. While the boys on the trip did more of the heavy lifting, the girls interacted with children through music and crafts. Pictured above, Holly Hancock. The new destination came together a bit accidentally, as the original plan was for Brower to lead students to an orphanage in Mexico. But a level 4 security warning rerouted the mission, and on short notice. While many of the students that the group from Briarwood Christian interacted with don’t have the same advantages and opportunities, they found that they had much more in common than they could have imagined. The language barrier proved much easier to cross than the group, which is not fluent in Spanish, expected. At the end of each day, after the group had dinner, they sat down for an hour and shared with each other what they learned. Brower offered words of encouragement, and the group bonded over their shared experiences.